Veganism is a term (and a practice) that’s becoming more and more popular. By definition, vegans don’t consume meat, dairy, eggs, or any product with animal-derived ingredients. They also avoid fur, wool, and leather as well as cleaning items, cosmetics, and body care products that are tested on animals or contain animal-derived ingredients. 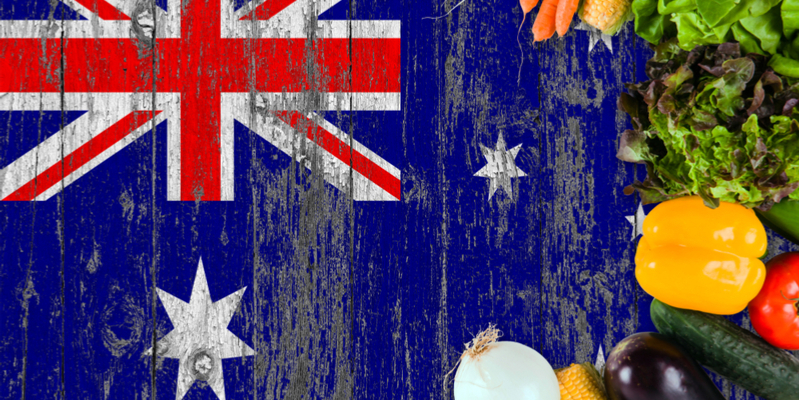 In recent years, the practice has become more widespread and Aussies are starting to embrace the plant-based, vegan lifestyle. In fact, Euromonitor International says Australia’s packaged vegan food industry will be worth $215 million by 2020. This makes Australia the third-fastest growing country, behind China and the United Arab Emirates. Whether you’re planning to go vegan or just looking for a tasty vegan meal, rest assured that there are plenty of vegan-friendly places in Queensland to try. Here is a list of 10 places in Brisbane, Gold Coast, Sunshine Coast, and Cairns where you can go for vegan products and meals. Affordable. Filling. Tasty. Never fails to disappoint. These are just some reactions from diners who already visited one of the many outlets of Vege Rama. This fast-food chain has numerous branches across Brisbane, making it easy for people to visit the restaurant as many times as they like. While Vege Rama’s offerings are primarily Indian dishes (think delicious dosas and curries), they also have a variety of dishes to satisfy everyone’s taste. Try pizza wraps, lasagna, tofu steak, potato mash, and cold-pressed juice. If you don’t want to try a whole meal, they also have snacks and tasty desserts. A 100% vegan restaurant in Brisbane, the Loving Hut is a great place to go if you want to satisfy your cravings for Asian food. The restaurant serves curry, fried rice, spring rolls, satay nuggets, and vegetable kormas. There’s also spaghetti, lasagna, wraps, cakes, pastries, smoothies, and vegan ice cream! If you want to cook at home instead, Loving Hut also sells vegan products and cooking items. If you love to cook, then this store in Brisbane is for you. The Cruelty Free Shop is not just a one-stop grocery store; with its wide range of vegan items, customers have described the shop as a ‘vegan paradise’. There’s refrigerated food (chilled or frozen), prepared meals, mock meats, pies, cheese, chocolate, sweets, ice creams, beverages—the list goes on. It’s not all food though—you can also buy other merchandise like shirts, wallets, belts, and bags. The Cruelty Free Shop owns both physical outlets and an online store. You can choose to drop by the nearest store or order refrigerated supplies to be delivered. Products are guaranteed fresh; they are usually kept in cold and dry storage facilities within Brisbane. Another grocery store you’d want to check out, the Green Edge cafe and Store in Windsor, Brisbane is family-owned, offering a wide range of vegan products. You can get delicious meals, food items, chocolates, snacks, baby food, and even vegan food for your pets. Cosmetics, nappies, and books are also sold here. A must-visit on Sundays. This farmer’s market has more than 40 stalls, all of them selling high-quality, vegan products. Should you visit the market, try the vegan doughnuts, pies, and dumplings, you won’t regret it! You can also buy other items too, like clothing and cosmetics. If you’re in Brisbane or the Gold Coast, try Govinda’s, an all-vegan buffet restaurant! For less than $15, you can fill your plate with cheap but delicious food. The place offers Indian dishes like dhal, curry, and salads. (Must try: the kofta balls!) For dessert, get the vegan cheesecake or sago pudding. If you’re not a dine-in customer, the restaurant also offers take-out and catering services. Don’t let the simple decor fool you; Easy House is a top-rated restaurant in the Gold Coast. The mock-meat meals—like sweet and sour ‘pork’, lemon ‘chicken’, ‘pork’ buns, and ‘bbq’ dumplings—are crowd favourites. Other choices in the menu include noodles, laksas, dim sum, and taro dumplings, and Easy House even has vegan fried ice-cream! Not into Indian or Chinese cuisine? Why not vegan Mexican? Founded in 2005 here in Australia, Zambrero is a Mexican fast-food chain. While not exclusively vegan, their vegan options are delicious. Get your fill of nachos, burritos, and great guacamole here. You can even order a take-out to share the goodies with your family or friends. Go Vita is a health food chain that’s been around in Australia since the ‘80s. If you’re in Brisbane, Gold Coast, Sunshine Coast, or Cairns, it’s likely that there is a Go Vita branch nearby. They sell a lot of vegan products—from packaged foods, snacks, and cooking supplies, to nutritional supplements, and body care products. According to its website, Vegan Online is your “one stop vegan online store bringing all your favourite goodies to your door.” Indeed, the range of products on offers is vast. Some food items you can find here are instant food, mock meat, snacks, desserts, sweets, and refrigerated items. The store uses road freight services to transport orders in Brisbane, other parts of Queensland, and throughout Australia.